Microsoft is said to have included displays that are even sharper than the latest iPads Retina displays, which are claimed to be the as clear as the human eye’s capability of seeing, by Apple. The Windows 8 is expected to support 10.1 inch tablets with 291pixels of per inch resolution, whereas the iPads offer a 265 pixel per inch. It is also to be noted that as Microsoft isn’t a tablet manufacture so it doesn’t even demand that the tablet screens to meet a single particular requirement. 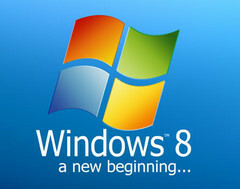 So, Windows 8 will have three standard scaling percentages and are also ensuring that the applications written for the operating system will be functional on all the sizes. The minimum requirement for display is 1024x768, which also falls in most of the websites resolution as well as will also support most of the devices currently running on Windows 7. David Washington, a senior program manager on the Windows user-experience team, also pointed out that as the pixels of the displays increase the size of the objects on the screen along with the applications on the screen decreases. Scaling percentage generally ensures that with the increase in the pixels of the screen the sizes are also needed to be increased so that objects on the screen remains large enough to fingertip accurately. The sizes are needed to be varied to 100%, 140% or 180% with the change in resolution. With accommodation for these sizes the applications can be managed to look better in all the sizes. Washington also pointed that scaling isn’t appropriate for all the applications as well. He also added that Microsoft has frameworks for the developers to scale the applications rather than doing it manually.